At Slipper Studios, we’re used to adapting our process to meet client goals. We are also fierce advocates of user feedback and human-centered design. 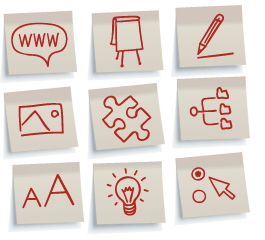 In general, our design process starts at low fidelity, often paper or whiteboard sketches, and progressively moves toward deliverables that define the structure and layout of the site or application such as site maps, workflow diagrams, and wireframes. Throughout the process, prototyping serves as a sandbox for validating design solutions, and as a vehicle for user feedback. 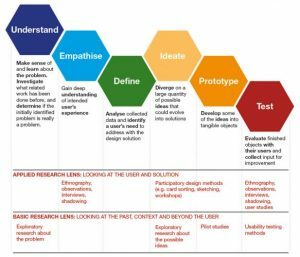 Design thinking originated at Stanford, and is heavily focused on ideation and iterative prototyping. 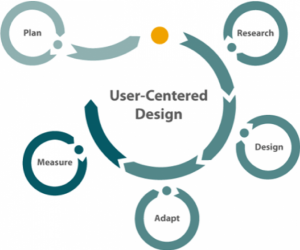 User Centered Design focuses on ensuring that interfaces are usable, effective, and efficient by incorporating user feedback into the design process. UCD is the original original user-centered process, still appropriate for government, highly-regulated industries, and for some offshore development project. The Agile design sprint format involves intense team collaboration, and working ahead of development sprints. 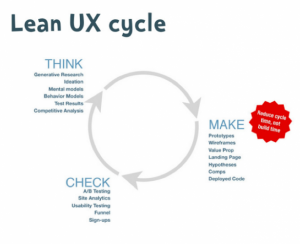 The Lean UX technique is tailored to design innovation and startups, focused on speed and hypothesis testing. Available through our visual design partners as part of larger UX design projects.